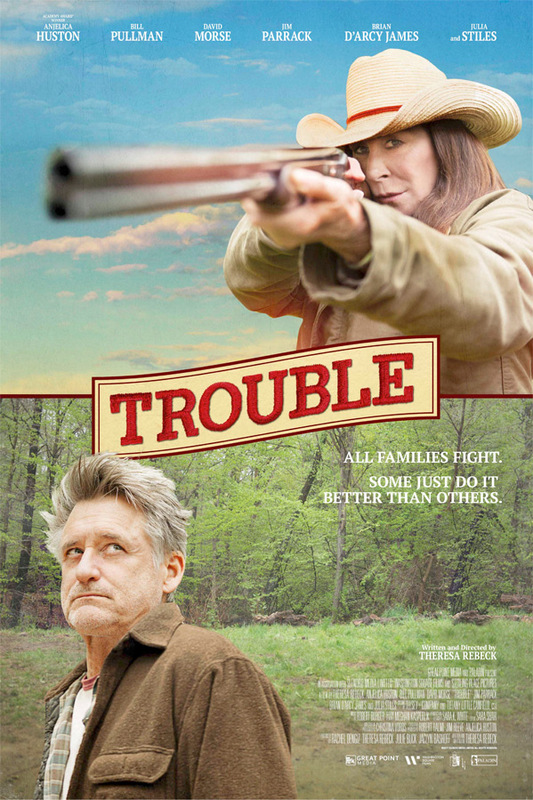 Trouble - Available as a download or stream? 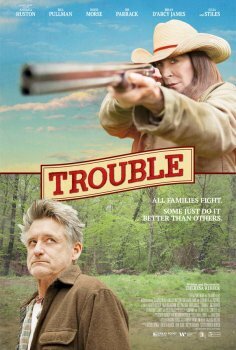 The second feature film directed by Theresa Rebeck, “Trouble”, stars Anjelica Huston, and Bill Pullman, as middle-aged siblings who have grown disdain for one another. The supporting cast features David Morse, Julia Stiles, Brian d'Arcy James, Jim Parrack, and Victor Williams.